Down Syndrome is no hurdle to Wong Cheok Hon, who pulls off a good show at Fashion for a Social Cause. Clad in a white T-shirt with a blue and yellow scarf loosely tied around his neck, Mr Wong Cheok Hon (above, center) strutted down the Fashion for a Social Cause runway confidently, making sure to pose every now and then for a sea of cameras. 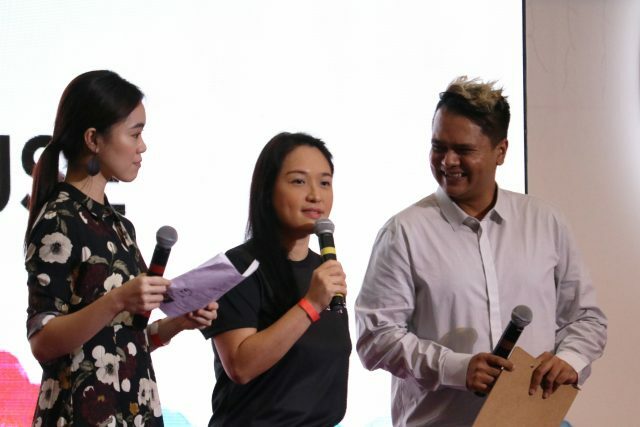 Although he’s born with Down syndrome, the 36-year-old was able to hold his own when sharing the stage with many local celebrities including Silver Ang (above, centre), Nat Ho and Charlie Goh. 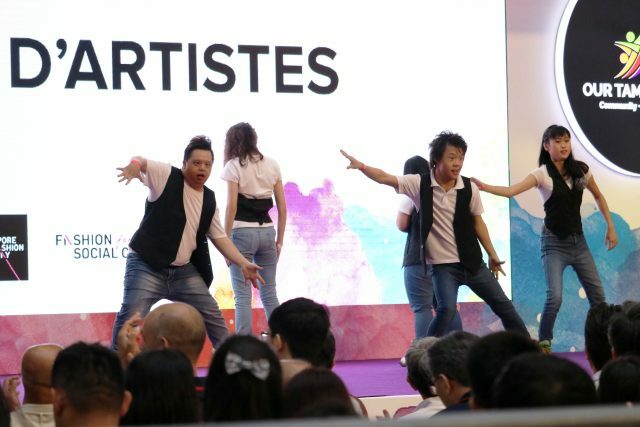 He also pulled off a high-energy dance routine with backing tracks such as Big Bang’s “Bang Bang Bang” together with 4 other performers from D’Artistes. The non-profit organization was set up in 2005 and has been working on providing performing opportunities for young people with special needs. 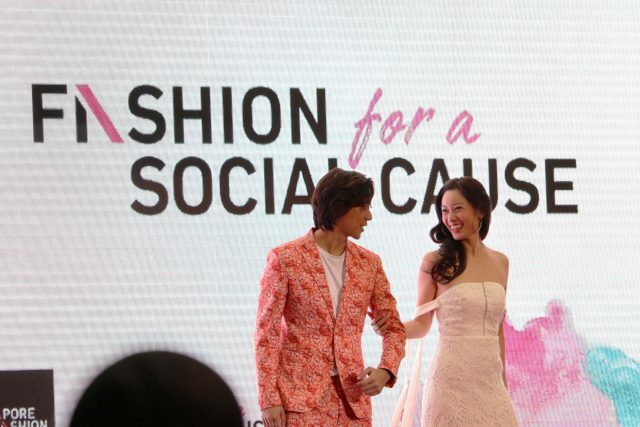 An initiative by Singapore Fashion Runway and held as part of the SG Cares Carnival, Fashion for a Social Cause aims to expose people with special needs to activities such as modeling, sewing and designing. The featured outfits on the runway were designed and sewn by local independent designers, the underprivileged as well as the elderly. “When I first met Cheok Hon, I thought he danced really well but was a bit shy socially,” said Ms Eileen Yap, 42, the founder of Singapore Fashion Runway who started working with D’Artistes since a year ago. Besides dancing and modeling, Mr Wong has also attended drama classes and sang in a choir before. He also has an athletic streak. 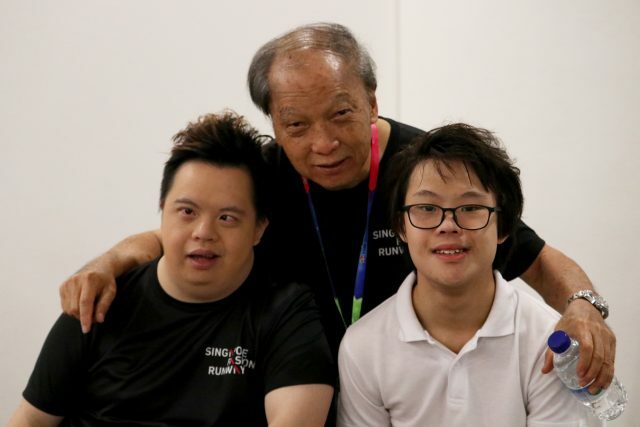 According to his father, he swam for Singapore at the Special Olympics World Summer Games in the US in 1999, and won the country 4 medals – 1 gold, 2 silver and a bronze. The elder Mr Wong also shared that his “young-at-heart” son loves Disneyland. The family visits Tokyo Disneyland once a year. “It’s like a pilgrimage,” the father said with a chuckle.